NJ Burkett has more on an NYPD Sergeant who shot a mentally ill woman being found not guilty. 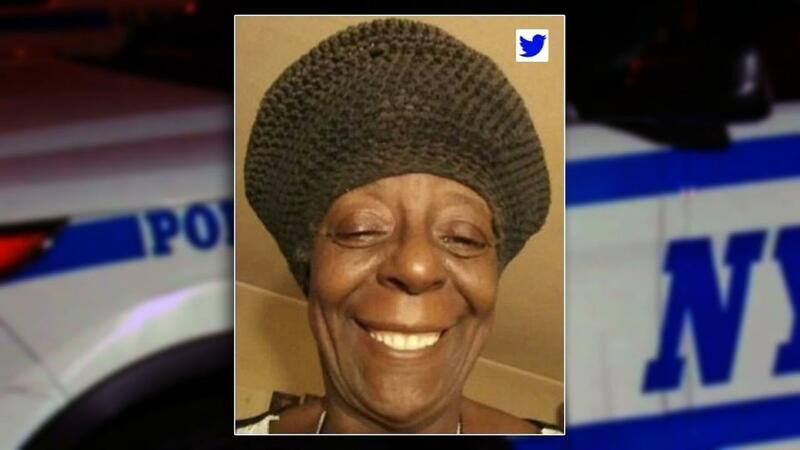 BRONX, New York (WABC) -- A judge in the Bronx has found the NYPD Sergeant who shot and killed a bat-wielding mentally ill woman in the Bronx not guilty. Judge Robert Neary's verdict was announced just after 9:30 a.m. Thursday. Sgt. Hugh Barry, 32, chose to forego a jury trial. Sgt. Barry did not flinch as the judge handed down his verdict. He was found not guilty of murder, manslaughter and criminally negligent homicide. Barry shot and killed 66-year-old Deborah Danner inside the bedroom of her Bronx apartment in October of 2016. Danner suffered from schizophrenia, and her sister called police to the apartment after the two had an argument. When officers arrived, Danner refused to drop a pair of scissors. As officers approached, she picked up a baseball bat, but whether or not she swung it was debated. Danner took a step forward, with the bat held above her head, and Barry said he decided to discharge his gun and fire two shots because he feared for his life. "At the end of the day, holding a baseball bat in a threatening motion justifies deadly physical force," Sergeants Benevolent Association President Ed Mullins said outside Bronx Supreme Court. The defense and prosecution disagreed over whether the bat constituted a deadly threat. "She steps forward and starts to swing," defense attorney Andrew Quinn said in his closing argument Wednesday. "This is the prosecution's own case. Steps forward, and then, and only then, is when Barry fires his weapon." But prosecutors argued Barry ignored police training in how to properly handle an emotionally disturbed person and that he failed to isolate and contain Danner. They also noted he chose to fire his gun instead of using a Taser to subdue her. In the end, Judge Neary sided with the defense. Ms. Danner's family was outraged by the verdict. Cousin of Deborah Danner reacts to not guilty verdict in case of NYPD sergeant charged with killing the bat-wielding mentally ill woman in the Bronx. Law enforcement union officials saw it differently. "On that terrible, tragic day, Sgt. Barry and his team responded to that apartment for one reason and that was to help a troubled person. Sadly, Sgt. Barry had to take action to protect himself from serious injury or death. The judge looked at the preponderance of all the evidence and concluded that the actions of the Sergeant were appropriate and not criminal. There is no victory here today, only relief that justice has been served and a good man who was doing a difficult and dangerous job has been exonerated." "The judge has issued his verdict in this case. We are disappointed but we accept his decision. However, I believe the death of Deborah Danner illustrates the larger issue of how we need changes in the way we address people with mental health issues. There must be serious reforms to improve access to treatment so the situation does not rise to a crisis. Mental health professionals should be part of the response to emotionally disturbed persons. I hope that measures will be taken to prevent another tragedy such as this."